Literacy, Part 3: Reading the Word and the World. In the previous two posts on literacy*, I wrote about newer perspectives on literacy. We used to think that literacy was reading and writing (and, it is), yet we now understand that literacy can also have deeper meanings. I first encountered these expanding definitions of literacy in the mid to late 1980’s, and yes, it was a challenge: Relearning and unlearning often is very annoying. However, there were a few specific steps along the path, that helped me move forward. First, I encountered Jim Moffett’s definition of literacy, which initially jarred me; then haunted me; and finally appealed to me. Now, I’ve lived long enough to know that this is true. Literacy is dangerous and has always been so regarded. It naturally breaks down barriers of time, space, and culture. It threatens one’s original identity by broadening it through vicarious experiencing and the incorporation of somebody else’s heart and ethos. So we feel profoundly ambiguous about literacy. Looking at it as a means of transmitting our culture to our children, we give it priority in education, but recognizing the threat of its backfiring, we make it so tiresome and personally unrewarding that youngsters won’t want to do it on their own, which is, of course, when it becomes dangerous. . . . The net effect of this ambivalence is to give literacy with one hand and take it back with the other, in keeping with our contradictory wish for youngsters to learn to think but only about what we already have in mind for them (Moffett, 1989, p. 85, as cited in Critical Pedagogy: Notes from the Real World, Wink, 2011, p. 71). James Moffett was ahead of his time. The second step for me in understanding more deeply about literacy was when I learned in the mid to late 1980’s of the work of Paulo Freire. The Moffett quote seemed to come true in Freire’s life. Freire went on to be a highly respected and much loved literacy and critical pedagogy scholar throughout the world; he was invited to Harvard. Eventually, he was welcomed home, where he became Secretary of Education in Sao Paulo, Brazil. Reading the Word and the World. One of Freire’s many contributions, which really influenced me was his notion that literacy was reading the word, and it was also reading the world. In my book Critical Pedagogy: Notes from the Real World, 2011, p. 71, I describe these two concepts in the following manner. To make meaning of those pages as they relate to our experiences, our possibilities, our cultures, and our knowledges. To decode/encode the visible and invisible messages of the world. Freire’s definition of literacy rang very true for me at that time. I grew up in a violent home, and I learned very, very early in life to read the world before I was able to read the word. And, today I think of those immigrant children who have been taken from their families–they may be too young to read the word, but I know from experience, they they are reading the world. 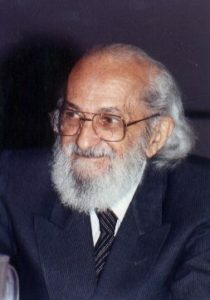 Paulo Freire’s books are readily available online. My Critical Pedagogy: Notes from the Real World is available from Pearson. Amazon has it also, but they often charge a lot more than Pearson. Also, online used books almost always has very inexpensive copies of my book. Very powerful and absolutely true. Breaks my heart when I think of what has happened to these children.